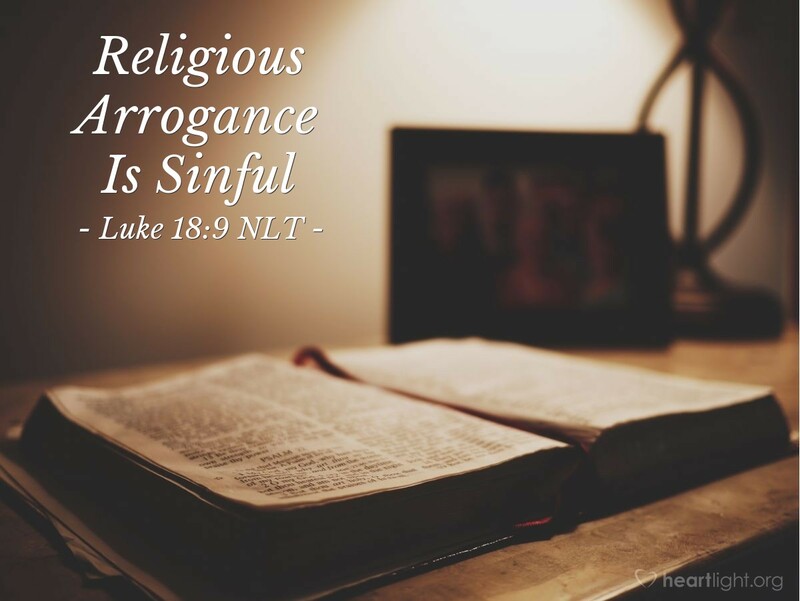 Jesus' most scathing rebukes are reserved for those who are outwardly very religiously, but who are arrogant, self-righteous, and feel superior to everyone else. Once again, Jesus illustrates his point with a story so his disciples will not only know the truth of his message, but so they also can visualize what this religious arrogance looks like and can remember to avoid it in their own lives. Before we examine this story of Jesus, we should look at ourselves and ask, "What is the basis of our confidence?" Is it in comparing ourselves to others? Is it in our own works of righteousness? Or is it in God's grace and mercy shown us in Jesus? Father, thank you for saving me, a sinner, who cannot live up to your standards of character, righteousness, and holiness. Thank you for making a way for your grace to reach me and bring me into your family as your child. In Jesus' name I pray. Amen.